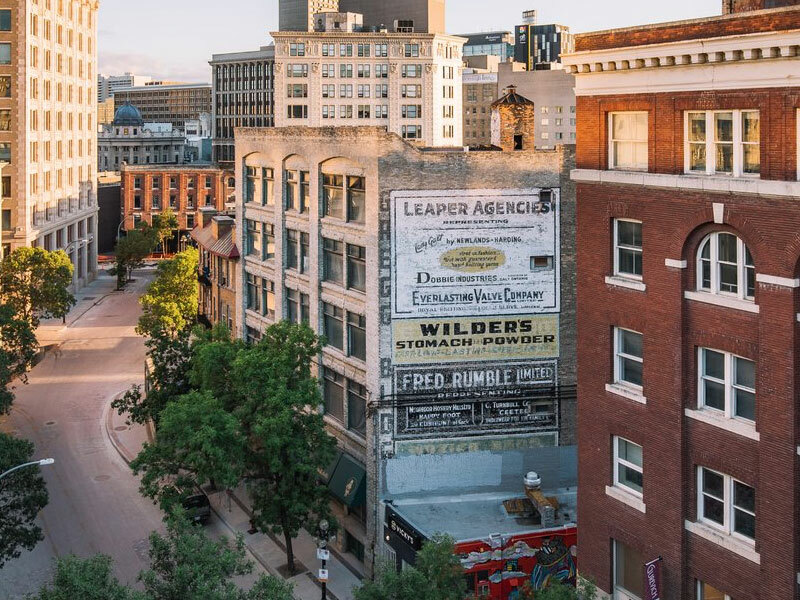 Winnipeg's Exchange District is one of the most iconic and vibrant neighbourhoods in Winnipeg. This national historic site features an exceptional collection of heritage buildings built between 1880 and 1920. Nicknamed the “Chicago of the North”, the Exchange features more than 150 immaculate heritage buildings within 20-square-blocks. These buildings and tree-lined streets, which were once warehouses and “terra cotta skyscrapers” that housed financial institutions, have since become Winnipeg’s cultural hub, blanketed with restaurants, galleries, gourmet donut and coffee shops, hip clothing, lifestyle and design stores. It’s also become the home to many Winnipeg businesses including graphic design and architecture firms, tech start-ups via Innovation Alley, and photography studios. Above the streets many of these older buildings’ floors have been converted into stylish studio apartments where a lot of the city’s hip set have started to migrate. Nearby acclaimed dining includes: Deer+Almond, where chef Mandel Hitzer’s whimsical share-plates menu has graced several of Canada’s best restaurant lists; the Mitchell Block, where fresh pastas and well-executed entrees (if you see Arctic char on the menu, order it!) are the name of the game; and Peasant Cookery, a farm-to-table bistro where cocktails and charcuterie headline in a beautifully-restored dining room and adjacent bar. For some other ideas, be whisked away across the universe in the Planetarium, stroll the boardwalk of 1920s Winnipeg, and see the full scope of a bison hunt at the Manitoba Museum. Next door to the museum is the Centennial Concert Hall, home of Canada’s Royal Winnipeg Ballet and Winnipeg Symphony Orchestra. A visit to the Exchange during the summer must include a visit to Old Market Square, which plays host to numerous summer events and festivals. The Winnipeg Fringe Festival and the Winnipeg Jazz Festival are two of the many must-attend events.